Want to shine bright in school? 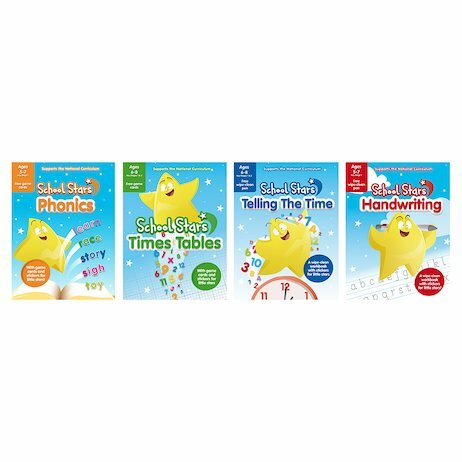 Our School Stars learning helpers are packed with amazing extras that give you the edge in class. Each book is full of lovely bright stickers and cool extras to help you perfect your school skills. Two of the books have wipe-clean activities. The other two have game cards that make learning feel like child’s play. But all of them are bursting with smart ways to help you do your best – just like the little star you are.